« Please can Nick Clegg insist on closing public libraries? The Guardian has an article today saying “library closure battles won, but war continues”. There have been some great successes in saving libraries, very much due to local users forcefully letting councils know how important their libraries are. Where thousands of names on petitions have failed, where marches through the centres of towns have failed, in many places legal action is now being taken. Faced with this mobilisation by their electorate, some councils have been revising their plans. At the very least, few councillors can now think that closing a library is an easy option. The Guardian article then goes on to say the war is not won. The campaign to save libraries is a marathon and not a sprint. One can see weaknesses and worries, the chief being with the Government. Jeremy Hunt, Ed Vaizey, the DCMS and the MLA (whose chief exec is currently packing bags for a new life in New Zealand) are being lethargic in taking any action, if at all, with two letters and a few meetings with campaigners and councils being its sum total so far. The Big Society and a dislike for the State is biasing their position with public libraries, with volunteer-run libraries dangerously blurring the definition of a “closed” library. The Government over the next few months will have to show whether it is serious in intervening or not if legal action by local campaigners fails. It may or may not, we shall see. We will also see whether the proposed scrapping of essential legislation like the Public Libraries and Museums Act and the Equalities Act will take place or not. If they do, legal action will become very difficult. This run up from the announcement of library closures to May 5th may then (remembering please that using a Churchillian quote does not mean one is comparing anyone to the Nazis) be seen not as the end, or even the beginning of the end but the end of the beginning. At least, it is not the worst one. 448 libraries (383 buildings and 65 mobiles) currently under threat or closed/left council control since 1/4/11 out of c.4517 in the UK. For cuts in each authority, see “tally” link on right. Battle to save 360 libraries – Daily Express. Well-funded libraries can improve children’s test scores by up to 13%. “the positive impact of a “robust” library system was almost seven per cent greater than the negative impact of an impoverished childhood”. Statistics produced by Mansfield University with a summary of the impact of school library provision. Library closure battles won, but war continues – Guardian. “Councils will be looking closely at how the situation develops this year to see if they can get away with further cuts later on – perhaps hoping that people will simply get used to the idea that libraries are closing and come to think of it as inevitable.”, “words have not been followed by decisive action” by government to help libraries. 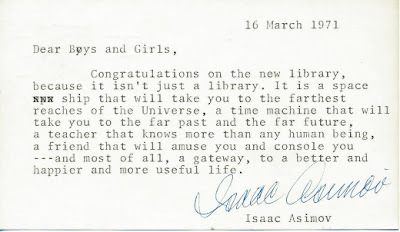 Save Our Libraries day to be in 2012 and, with threats continuing, “for the foreseeable future”. Row over government reading lists for five-year olds – Telegraph. Set texts on curriculum for five to eleven years may be introduced. Authors not impressed. Also covered in the Guardian. “Triumph” for North Yorkshire library campaign, but more protest in Lewisham – BookSeller. 24 libraries apparently saved in North Yorkshire but Lewisham worries about computer company taking over three threatened libraries. Cambridgeshire – Libraries may be run by a charitable trust, 13 smaller libraries to be run by volunteers “directed” by a central librarian at a cost of £20,000 each to local community. Croydon – Qualified librarians removed at Sanderstead Library. Newham – Foreign language newspapers removed from all libraries. Brent – Legal action over Brent library closures – BookSeller. Bindmans law firm lodging complaint as council decision made before consultation ended. Brent – Cllr James Powney in hiding over library cuts – Save Kensal Rise Library. Cambridgeshire – Community news: Linton Parish Council – Haverhill Echo. Concern at parish council meeting of losing library staff in moved towards volunteers. Croydon – Save Sanderstead Library Campaign Group launched! – Save Sanderstead Library. “We are a campaign group consisting of local residents with a commitment to saving Sanderstead Library in Croydon. We believe that we need to maintain a professional service at our much loved and well used community library.” Sanderstead has lost its qualified librarians. Devon – Devon library public consultation ends – BBC. 7000 people have had their say. Dorset – Ad Lib appeal to complete library questionnaires – Dorset Echo. “The nationwide referendum on how we should run our parliamentary elections may not have caught the attention of everyone in Dorset but everyone here has the chance to vote on a matter that really has been making headlines – the fate of the county’s village and small town libraries.” Campaigners suggest voting for Option Two. Dorset – Library fight taken to the top – Salisbury Journal. West Moors users presented case to Dorset’s full council, 2000 signed petition to save its library. Bequest makes case for closing library questionable. Gloucestershire – Legal challenge launched to stop library closures – Wilts & Glos Standard. Leeds – 15 Leeds library buildings face closure – Guardian. 4300 responses to consultation, 82% agreeing to the plan. To be debated by council next week. Also covered by the BBC and Yorkshire Post. Lewisham – More protest as Lewisham libraries decision looms – News Shopper. Bidding process described by campaigners as “a load of old rubbish”. Only one bid “fairly acceptable”. Newham – Newham’s libraries remove foreign language newspapers – BBC. Mayor says move will “encourage people to speak and learn English”. “Libraries are not just about books. They are bedrocks. They are arts centres, information and advice points and internet cafés. They provide opportunities for social interaction, for the elderly and the young, and act as welcome and orientation for new residents. But where the cuts will really hurt is the rural areas; not least the mobile library service which truly acts as more than just a place to exchange your weekly romance novel – it’s a point of contact, communication and often a support service all in one.” North Yorkshire – A crime against the libraries that save lives – Yorkshire Post. Oxfordshire – Librarian speaks for first time about closure threat – Henley Standard. Librarian from threatened Sonning Common stresses need for public to campaign against closure. Slough – Heart of Slough’s library is named thanks to competition winner’s idea – Maidenhead Advertiser. New library will be called “the Curve”. Staffordshire – Council launches wi-fi at libraries – Guardian – Following increased usage in pilot library, wi-fi will be installed in all libraries. Suffolk – Village libraries offered reprieve after consultation – Haverhill Echo. Kedington and Clare libraries saved. Comments – still unclear as to how 30% cut will be made. Suffolk – Suffolk Council halts outsourcing core services for “reflection” and sends Chief Executive on extended leave – eGov Monitor. Andrea Hill not expected back by many. Surrey – Council launches e-library mobile app – Guardian. Users can order and download any of 600 titles from their mobile. Warrington – Library Tribe – Flickr. Pictures of library users created after local library closed. Print article This entry was posted by Ian Anstice on May 10, 2011 at 9:12 pm, and is filed under Uncategorized. Follow any responses to this post through RSS 2.0. You can skip to the end and leave a response. Pinging is currently not allowed.